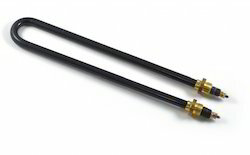 Our product range includes a wide range of u type heaters, casting heaters, heating elements, cast aluminium heaters, kapton heater and tubular heater. 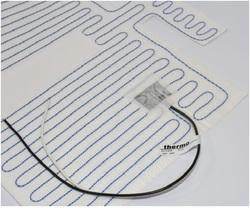 Heater Material Copper, S.S 304, Seamless etc. Our company has gained wide spread reputation in the manufacture, supply, trade, service provider, import and export of U Type Heaters which are globally used across the industry. Available in exclusive range to suit all requirements of our clients, these heaters have high durability. These are made by using premium raw material by our experts who have great knowledge in this field. Finally, these heaters are well designed and are offered at pocket friendly prices. Our company has gained prominence in the manufacturing, supplying, trading, service providing, importing and exporting Casting Heaters. Having superior functionality and sturdy construction, these heaters are manufactured by our expert team using best raw material which is purchased from authentic vendors. Along with this, these are suitable for high temperature and available in variegated shapes. Last but not the least, these heaters are available at suitable prices. Material S.S 304, Copper, Incoloy , seamless etc. The Industrial water heater elements developed by our factory is made from the excellent stainless steel tube, high quality electrically-melted oxidized magnesium power and high-density heating wires with international famous brand and processed by national advanced equipments. 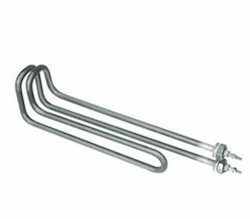 Our company has gained immense popularity among manufacturer, supplier, trader, service provider, importer and exporter of Cast Aluminium Heaters. Available in many specifications as per client requirements, these heaters are manufactured by using supreme raw material by our experts with advanced technology. 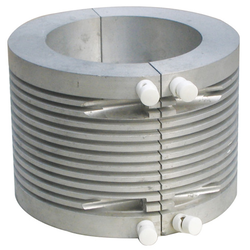 These have wide applications such as injection and blow mould, packaging machinery, lab equipments etc. 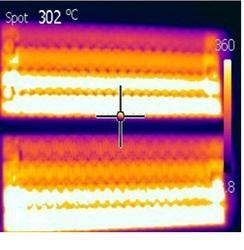 In addition to this, these heaters are offered at nominal prices. 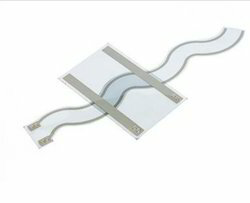 thermo’s latest technology, the Ceramic Infrared heating element, was created to maximize heater efficiency and performance while maintaining durability and design flexibility. These heaters are capable of transferring up to 90% of their input as radiant energy, and maximum efficiency is reached when the emitted wavelength and the absorption spectrum of the material to be heated are optimized.